The Major Arcana represent the various stages of Balder's development and important turning points in his life. The first Majors show the appropriate Norse god or goddess for that card. 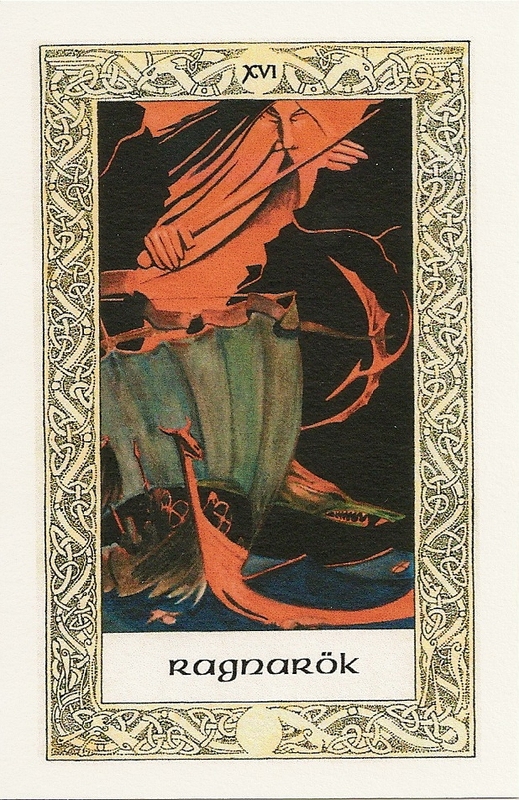 From card 13 (Death) onwards the Majors show scenes from a particular myth. Each card of the Major Arcana is also assigned a rune character. The Court cards have been changed slightly. The Page is now the Prince and the Knight has become the Princess. 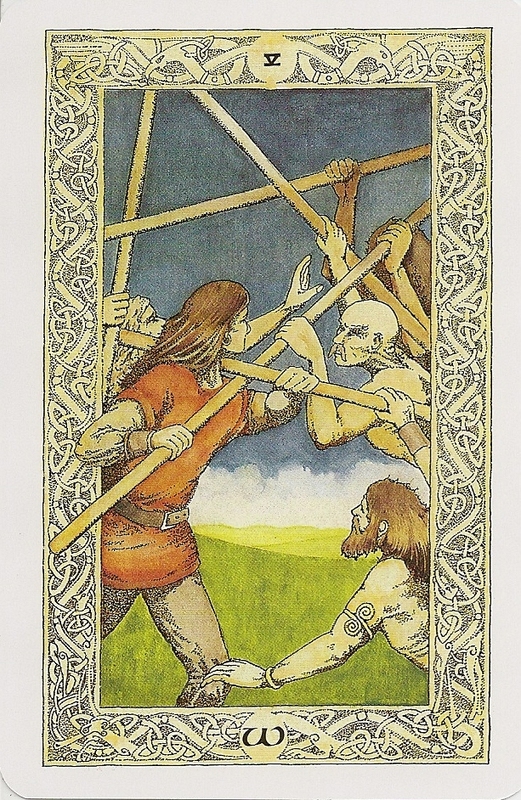 The number cards are RWS illustrated with scenes from the everyday life of the Norse people. Elements of the scene often break out of their frame into the surrounding intricate knotwork border. The coloring is done with watercolor. The symbolism of the elements appears prominently in the Court cards. Flames are shown on those of the suit of Wands, water on those of Cups. The people illustrated on these cards are dressed in colours corresponding to their element; the Wands of fire are clothed in red, the Discs of earth in green or brown, and so forth. I bought my edition direct from the author's page, it came without box or LWB but with an exclusive limited edition folder containing 5 previously unpublished cards. These 5 cards are early designs from the development of the Norse Tarot that did not feature in the final deck.